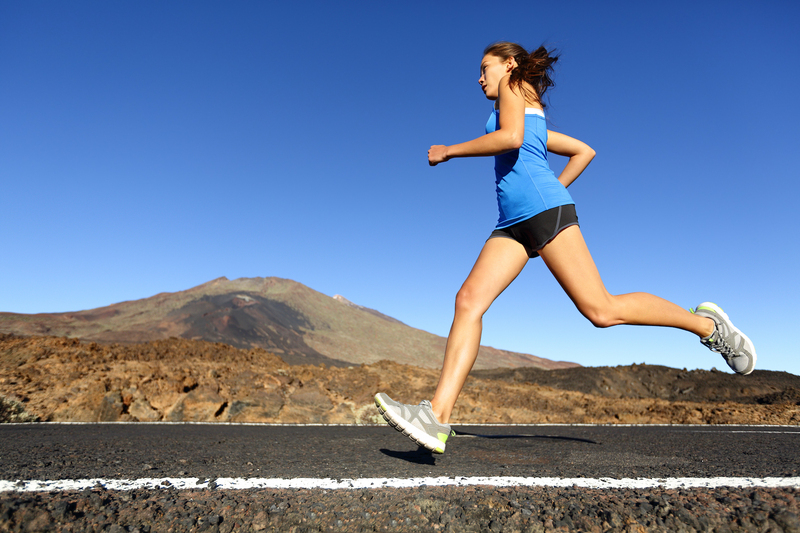 Two Training Plans Perfect For You: 10K And 10-Miler! Two Training Plans—For 10K And 10-Miler! Whether you're training for a 10K or a 10-mile race, these training plans will help you stay on track and reach your goals. By building the right balance of speed and endurance, you can find success at a race distance of 10 kilometers or 10 miles—or both! Related: Training Plans: Fastest 10K Ever! Most American runners are comfortable switching between imperial measurements (inches, feet, yards, miles) and metric measurements (centimeters, meters, kilometers). Some of the races we do are measured in miles, others in kilometers. When we train on the road, we typically record our distance in miles. But when we hit the track, we switch to meters without batting an eyelash. You don’t have to be a mathematical genius to do this. The important thing to understand is that a mile is more than 60 percent longer than a kilometer. On a practical level, this means that if you start a 10-mile race at your 10K pace, you’re going to be in for a world of hurt in the last 3.8 miles! When it comes to training for these events, though, the two measurement systems aren’t so different. The training required to run a successful 10K is very close to optimal training for a 10-miler. For proof of this, look no further than the example set by Kenyan-born American runner Janet Bawcom in 2014. On March 22 of that year, Bawcom won the Azalea Trail Run 10K in 32:03, one of the fastest road times ever recorded for this distance. Just two weeks later, taking advantage of the same blend of speed and endurance she developed in her training, Bawcom set an American record of 52:12 at the Cherry Blossom 10-Miler. The most effective way to train for a 10-miler is to train for a 10K first and then, once you’re fully prepared for that distance, spend a few more weeks developing extra endurance. Of course, if you’re going to train for a 10K on the way toward running a 10-miler, you might as well run a 10K too! The ideal time to do the 10K is about four weeks before your 10-miler. The following training plan provides a few options for runners aiming to run “10.” The first option is to complete the first eight weeks, run a 10K at the end of week 8, and stop there. Or you can continue on and run a 10-miler four weeks later. A third option is to skip the 10K race, running a solo 10K time trial instead on that day, and just do the 10-miler. The plan also has a beginner version (unshaded boxes) and an advanced version (shaded boxes). The advanced plan includes workouts that may be done either as a run or as a cross-training session. If you choose to cross-train, select a legs-dominant, non-impact cardio activity such as the elliptical trainer or cycling. Low intensity (LI) is a comfortable jog that allows you to speak in full sentences without losing your breath. 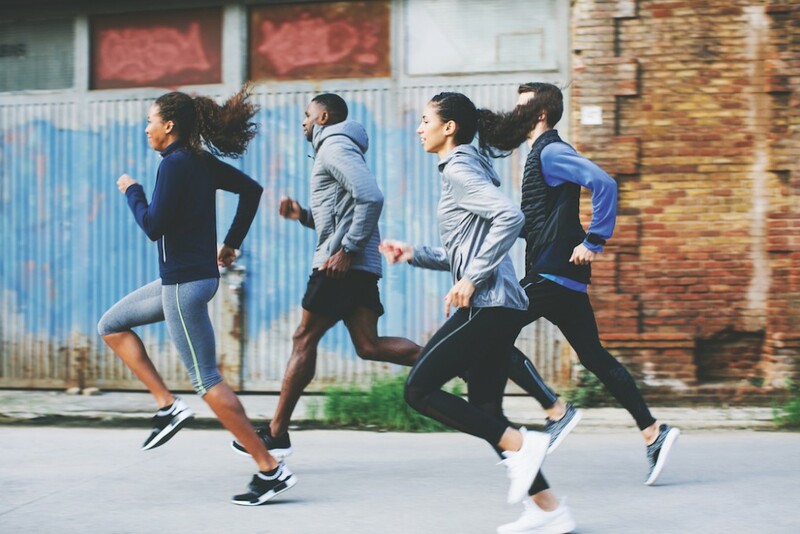 Moderate intensity (MI) corresponds to the highest speed you could sustain for 30 minutes (if you’re a newer runner) to 60 minutes (if you’re already in pretty good shape). High intensity (HI) ranges from the highest speed you could sustain for about 5 minutes all the way to a relaxed sprint, or 95 percent effort. Tailor your high-intensity efforts to the specific workout format, going harder when there are shorter bursts. As with any training plan, listen to your body as you make your way through it, and give yourself extra rest if you feel unusually fatigued or sore on a given day. Click here to download this full article and our full training plan. How should I vary the “high-intensity” pace in different workouts? Adjust your effort based on how long the interval is. In a speed-play run featuring short, 20-second HI bursts, for example, do these as relaxed sprints. In an interval run featuring 90-second HI efforts, do these sections at or near your estimated maximum speed for five minutes. Ten-mile races are a little hard to find compared to many other race distances. But there are some good ones out there. Here are our top five. There’s no better way to tour our nation’s capital than by running this race on the second Sunday in June. Featuring a flat, smooth course, it’s also a good race in which to go for a fast time. America’s largest 10-mile road race attracts more than 40,000 runners to the City of Brotherly Love on the first Sunday in May each year. Cue up the “Rocky” theme music when training for this one. Created in 1973 as a tuneup race for runners preparing for the Boston Marathon, the Cherry Blossom Ten Mile Run is still going strong, attracting more than 18,000 runners on the first Saturday in April—which may or may not coincide with the annual blooms of the cherry trees. This city has seen troubled times recently, but it remains a great place to run a 10-mile race. Born in 1977, the Crim 10-Mile is now part of the Crim Festival of Races, which includes 1-mile, 5K and 8K options as well. The fun all happens on the fourth weekend of August. This race gets its name from the city’s Wind Point Lighthouse, which runners pass in two directions on the third Saturday in June.